Here Fishy Wishy Wishy! help me count the fishes please? 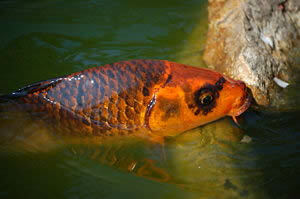 Thought id post this great pic as I really love Koi carp fish and I found this very, very relaxing to look at. 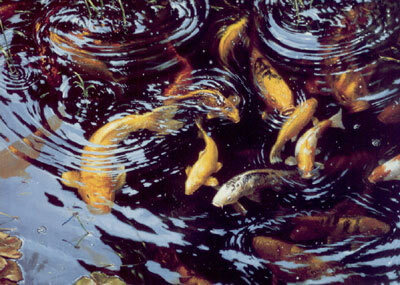 Ok the quiz is as follows: how many fish are in the picture? lol itâ€™s actually not as easy as it looks, this artist has done such a great job of painting that its hard to tell whatâ€™s a ripple of water, a fish or a light reflection. Itâ€™s so photo realistic itâ€™s amazing. 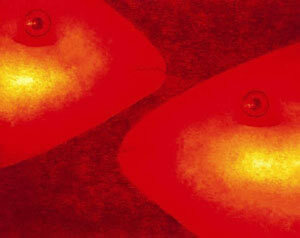 Anyway, I love fish and the fact in art terms you could paint them in so many different ways, photo realistic like artist Michael Jackson has doneâ€¦.in a contemporary style with big splashes of bold colours, look at artist Nicola Readâ€™s pieces or even in a cartoon/naive style, such as artist Linda Jane Smith’s work….the different ways are limitless. Anyway if you want to read about this Koi Carp that allegedly lived to be 200…use the link below..in the meantime I just thought id post a random photo of a large Koi carp…enjoy! Japanese guy talks about various Carps – Some lived to over 200 years old!